BIZOL Truck New Generation 10W-40 is a diesel motor oil based on synthesis technology with a low content of sulphate ash, phosphorus and sulphur (low SAPS). The product was specially developed for turbocharged Euro IV and Euro V diesel engines with a final exhaust gas treatment system and a particulate filter (DPF/CRT). BIZOL Truck New Generation 15W-40 is high quality motor oil, suitable for all diesel truck engines, under all operating conditions and throughout the whole year. Extensive development efforts qualified this oil to outperform the highest demands that modern diesel engines currently place on motor oils. The formulation of this oil ensures superior cleaning performance, highest wear protection and an excellent prevention against bore polishing, resulting in a prolonged oil change intervals. 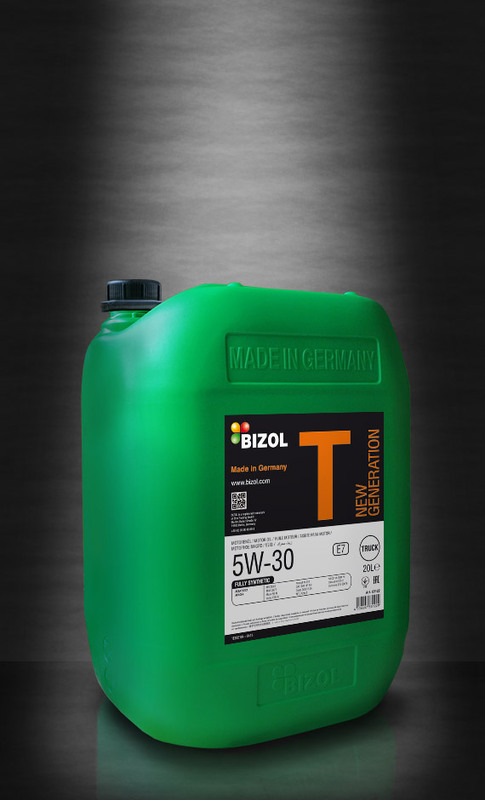 BIZOL Truck New Generation 15W-40 is suitable for Euro IV till Euro VI truck engine generations. BIZOL Truck Primary 10W-40 is a modern high-performance, low-friction motor oil designed for diesel engines with or without exhaust-gas turbochargers and charge air coolers. Modern technology in combination with unique base oils provides this product with its outstanding characteristics such as reduced friction, excellent wear protection and helps to extend the oil change intervals. 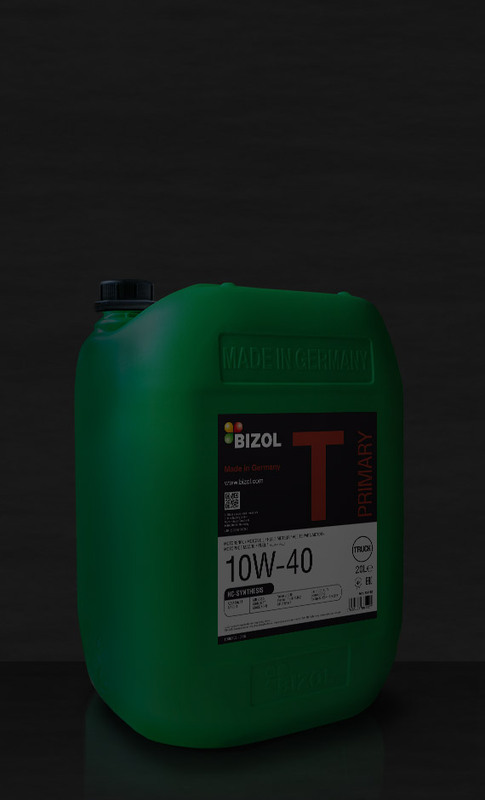 BIZOL Truck Primary 15W-40 is a modern low viscosity, universal motor oil for use in all diesel engines, under any kind of operating and weather conditions (year-round oil). It surpasses the highest requirements of modern diesel engines that are currently demanded from motor oils. The advanced additive technology enhances excellent low viscosity, wear protection and enables maximum oil change intervals. The ideal lubricant for all diesel engines, with or without catalytic converter and turbochargers. In case of extended oil change intervals the instructions of the vehicle manufacturer are to be followed. BIZOL Truck Essential 10W-40 is a modern high-performance, low-friction motor oil designed for diesel engines with or without exhaust-gas turbo-chargers and charge-air coolers. Modern technology in combination with unique base oils provides this product with its outstanding characteristics as reduced friction and wear protection and helps prolonging the intervals between oil changes. BIZOL Truck Essential 15W-40 is a modern high-performance diesel motor oil with extended oil change intervals. It meets the latest recommendations of commercial vehicle manufacturers. This multigrade motor oil allows to extend oil change intervals. It corresponds to servicing systems for vehicles of many well-known manufactures, such as Mercedes Benz, MAN or VOLVO, including turbocharged engines. BIZOL Truck Essential 20W-50 is premium high performance diesel and gasoline motor oil. It is certified to be used for extended oil change intervals according to the recommendations of commercial vehicles manufacturers. It is a multigrade diesel motor oil with the a performance reserve that allows to extend the oil change intervals. It meets the servicing regulations for commercial vehicles by Mercedes-Benz, including turbocharged engines. BIZOL Truck Essential 20W-50 is a reliable wear-protecting lubricant for all types of diesel and gasoline engines.